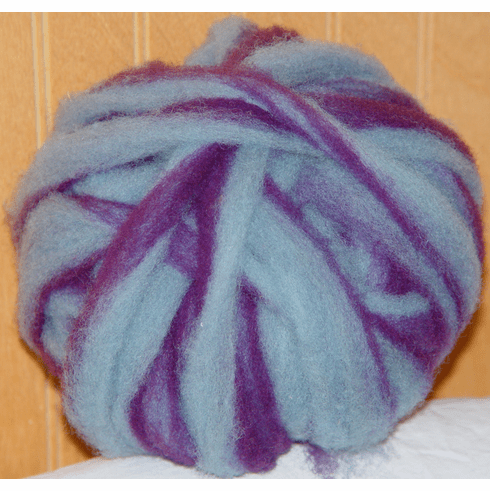 100% Clun Forest Wool pencil roving dyed in dark purple and light blue stripes using all natural dyes. The striped roving will produce a tweed look to the yarn when spun. Roving is sold by the ounce.